Have you ever wondered why your child does the same behavior over and over again? Maybe he talks about the same topic for hours on end. Maybe she flaps her hands throughout the day. 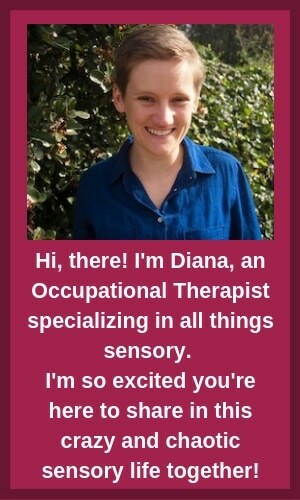 Maybe you’ve heard the words “perseverative autism” floating around during your child’s occupational therapy appointments. Why is it exactly? Perseveration, while parading as a big and scary word, is nothing more than repetitive behavior. It can be called stereotyped behavior as well. We often say someone is perseverative if they fixate on a certain thought or worry, often to what is considered an excessive degree. Similarly, perseverative autism describes kids with autism who tend to have a lot of repetitive behaviors. 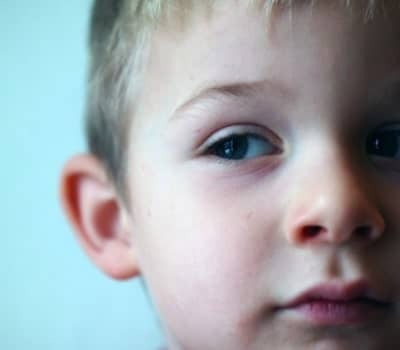 The reason why perseveration and autism are often associated with each other is because perseveration is often a leading sign of autism and is something that many kids with autism engage in. 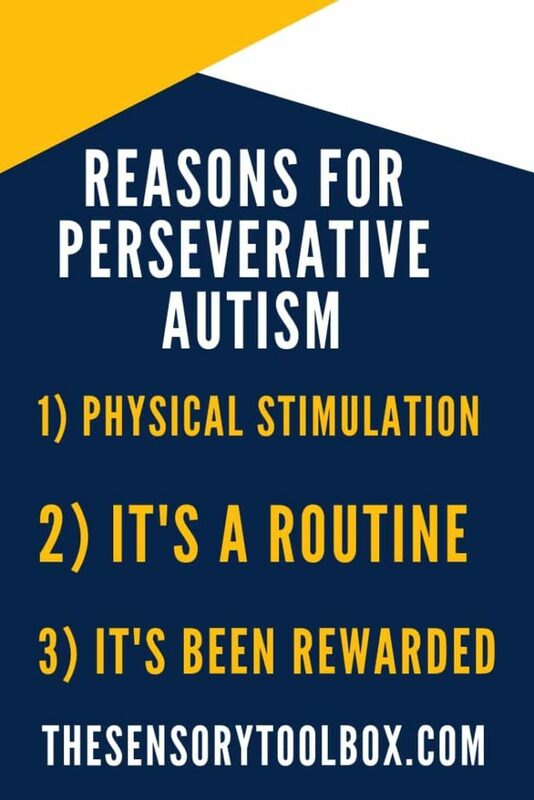 There are a number of reasons why someone with autism may perseverate. Here are just a few. When a child repeatedly flaps their hands, taps their legs, or crashes into pillows, they are often seeking physical stimulation. For kids with autism, especially those with sensory issues as well, physical input helps their bodies understand where they are in space. This physical stimulation can be relaxing, both in the familiar repetitive nature of it, but also in the sensations it gives the child’s body. A child may perseverate on these physical behaviors because it feels good. Because it feels good, they keep doing it. If your child is constantly seeking physical stimulation, this can be a sign of hyposensitivity to sensory input. Check out my post on this topic to learn why heavy work and physical input is so important. 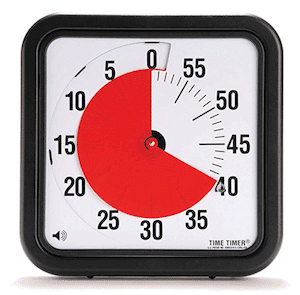 Have you ever had a period of time when your routine was completely out of whack? This can be really disorienting and leave you feeling exhausted. Even if you were on a lavish vacation, you’re often pining for your regular old routine before too long. We get a lot of comfort from our routines. For kids with autism, this can be heightened. 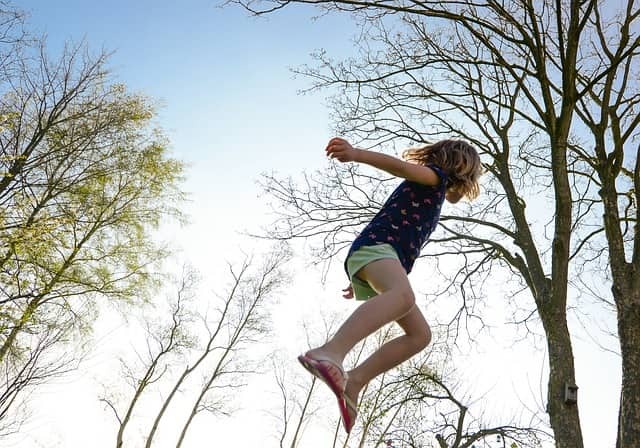 Have you noticed that your child is more prone to doing these repetitive actions when they are excited, nervous, or doing something outside of their routine? Similar to how we may talk to ourselves to ease our nerves before a big presentation, children with perseverative behaviors are doing the same thing. Not only is your child’s chosen repetitive behavior comforting in challenging moments, they become routines in it of themselves. As such, you may notice your child doing this repetitive behavior at all times, not just when they’re excited or anxious. You may notice an increase during those challenging times though. Social situations can be tricky for our kids with autism. Instead of understanding that social rules are often circumstantial, kids can think, “this worked that one time, so now it’s in my rule book forever!” For example, your child may have gotten a laugh from a joke and then decided to tell it over and over again, without realizing that jokes can only be told to the same audience once without losing their funny juice. When kids talk about topics for hours on end, they may believe it’s interesting. Not only is it a subject they are excited to be knowledgeable about, they may not understand that people don’t want to hear about it all day. Rewards don’t only come in social forms, but physical forms as well. When your child found comfort in hand flapping, their bodies tell them that this was a good experience, which makes them want to do it again. Perseveration is one of the leading signs indicating autism. Whenever people talk about initial diagnoses, they can be dramatic and make more of it than is necessary. Given how indicative it can be of autism, it gets a lot of attention. This doesn’t mean you need to give it this same amount of attention in your daily life with your child. As an occupational therapist, I’m always thinking about how behaviors are either enhancing or impeding daily life for my clients. Is this behavior making life better or worse? Easier or harder? Take a moment to consider these questions in regards to your child’s perseverative behaviors. Are they doing any harm? There’s nothing inherently concerning about perseveration. What can be concerning is the consequences of it. Is your child leaving bruises in the places where they tap their legs? Is your child raising their hand to talk about space ships in English class? Take stock of your child’s perseverative behaviors and whether they are having a positive or negative impact in your child’s life. So, what do I do about the perseverative behaviors that are negative? Here are some strategies to try. If you find that your child is demonstrating negative perseveration behaviors in times of distress, try to find more beneficial ways for your child to receive comfort. Instead of tapping their leg, maybe they can play with a fidget? Instead of talking about talking about one thing for long periods of time, maybe they can have a prepared list of topics to turn to. 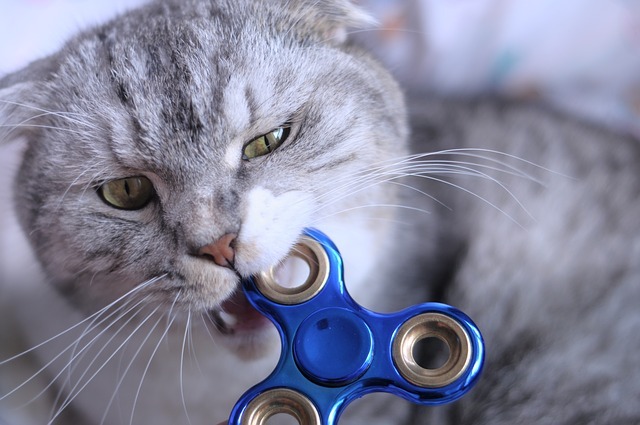 If you need some fidget ideas, check out my 5 favorite fidgets and why they work. Just because your child is used to doing certain things doesn’t mean that this can’t be changed. Not to say that this will be easy but, over time, negative behaviors can be replaced with positive ones. Think about any of your child’s negative perseverative behaviors and what more positive behaviors you could potentially replace them with. We all have reasons for doing what we do. When it comes to perseverative behaviors, this is especially true. Be a detective and think about what’s going on around your child when you notice the perseverative behaviors the most. Are they nervous? Excited? Tired? Hyper? Are there a lot of people around? Are they doing a challenging task? By thinking deeply about what triggers your child’s perseverative behaviors the most, you’ll have better insight into what’s causing them in the first place. If your child is constantly anxious during their theater class and is prone to crashing into the walls during this time, what can you do to make this class less anxiety inducing overall? If you can address the feelings behind the behavior, your child may find their perseverative behaviors to be less necessary or more manageable. As a caveat, I’m not a huge fan of this one. Perseverative behaviors are often serving a need for your child. By simply telling them that times up and they need to stop, the underlying problem isn’t being addressed. To make it worse, they are getting the message that their feelings aren’t valid, when the message really is that these feelings would better be expressed in a different way. That said, children with autism can get “stuck” on behaviors that they simply have a hard time stopping. You’ve made sure to validate their feelings, explore positive alternatives, and discover the root of the behavior, yet they just really love talking about sharks. Sometimes, you just have to put an end to it. I love this visual timer! It makes it really easy for your kid to tell how much time is left without needing to rely on numbers. The great thing about setting time limits is that it teaches kids valuable lessons about self-control. As I also discuss in my post on emotional regulation, self-control is a skill that needs to be learned. This is true for all children (and even adults! ), but it’s especially true for our kids with autism. It’s ok to say, “hey, I know we like to talk about sharks, but our time is up and it’s now time to talk about something else.” Teaching your child that they need to set limits with their perseverative behaviors can teach them about the importance of balance and self-regulation. Perseverative behaviors in autism can be tricky. Sometimes they’re worrisome, sometimes they’re not. Sometimes their beneficial to your routine and sometimes they’re destructive. Like everything with autism, every day is a new day with new challenges. By gathering as much info as you can about your child’s behaviors and tendencies, you can be prepared for the ups and downs that life brings.